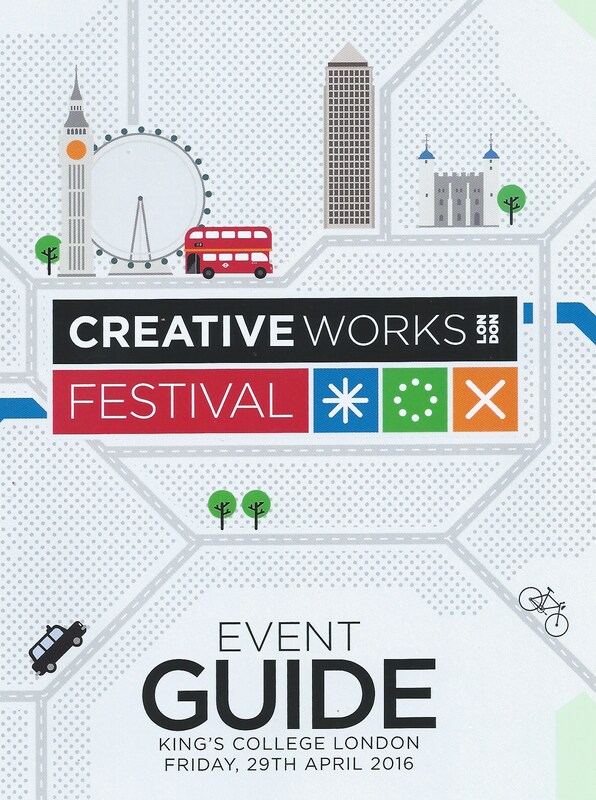 Creativeworks London is a cultural organisation which, over the last four years, has brought together academic researchers with creative entrepreneurs and businesses, in order to explore the capital’s creative economy through collaboration. With support from Creativeworks London, Money No Object was able to team up with the Digital Programmes and Research departments at the Victoria and Albert Museum, quickly developing ideas, exchanging knowledge, testing out prototypes and launching the wearable donations system in context. So yesterday, ace tap-dancer Laura Kriefman and I were delighted to celebrate the achievements of Creativeworks London by taking part in their closing event – a Festival held at King’s College London. On show in the Great Hall at KCL’s Strand campus was a new short film about Money No Object and a gallery of photographs, forming part of a wider exhibition called ‘London Digital Ecologies of Collaboration’, curated by Dr Alda Terracciano. Throughout the day, Laura tap-danced and demonstrated ‘Tap & Pay’, the wearable and danceable donations system, to gathering crowds and generous applause. What new knowledge did you gain from your research collaboration? What has changed in your research, practice or thinking as a result? What has been the most unexpected outcome for you? Has the knowledge you gained through the Creativeworks London collaborative process been different from that which you would have gained through your usual work? If so, how is it different? 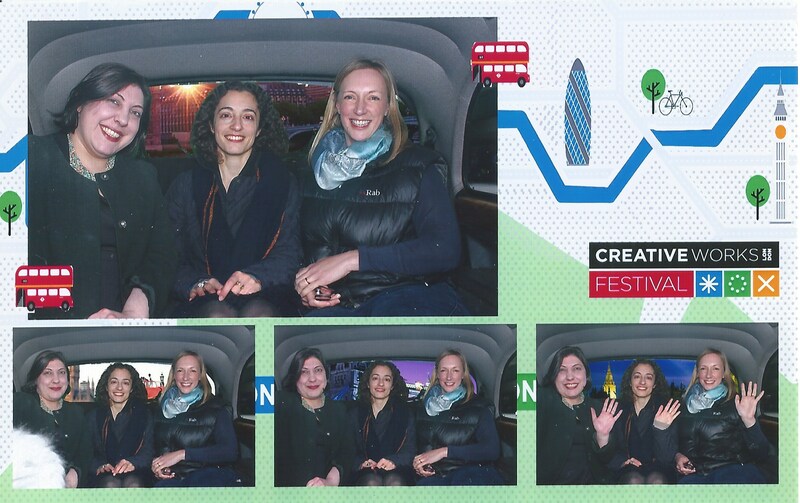 We were interviewed for Resonance FM in the back of a black London taxi that also incorporated a fun photo booth. So here we are travelling past Big Ben, Tower Bridge and the Houses of Parliament – all without leaving the Quad at King’s College! The Festival was a great day with so many fantastic projects to celebrate. Congratulations to Creativeworks London on four years of success!